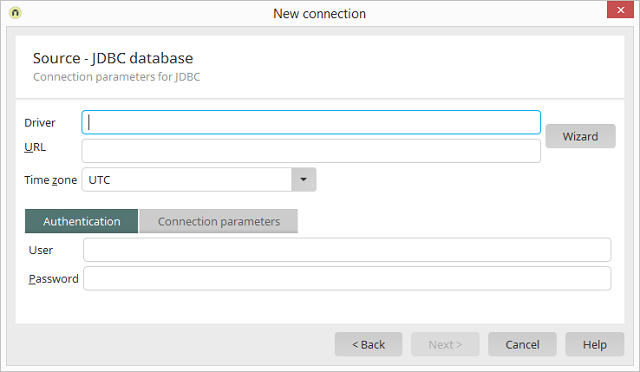 Integration module Data transfer / Create new connection Data source type: JDBC, Click on "Next"
Integration module Data transfer / Create new connection Target type: JDBC, Click on "Next"
Enter the driver for the connection to the database here. Enter the URL to the database here. Opens a wizard which will help you to configure the connection. However, there is no guarantee that every external data source is supported by the wizard. If the database requires an authentication, enter the username and password here. Driver-dependent parameters can be entered here. Displays the name of a parameter. Displays the value of a parameter. Creates a new row for a new parameter. 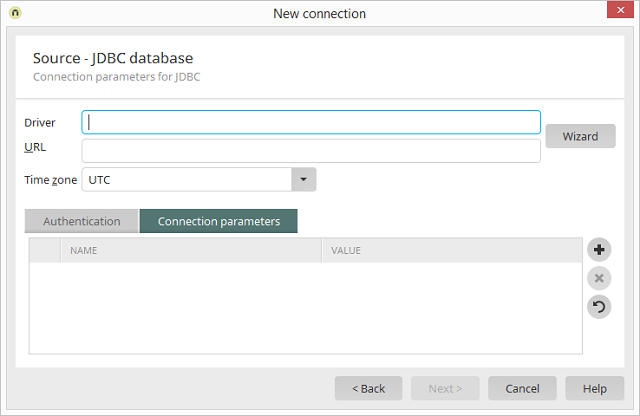 United Planet assumes no responsibility for errors arising from the entry of incorrect connection parameters in this dialog. Refreshes the list of parameters.